In What Ways Is God our God in the Covenant of Grace? Opening his lengthy treatment of the covenant of grace in the Institutes, Francis Turretin notes that getting this right is of central importance to theology because it is “the center and bond of all religion, consisting in the communion of God with man and embracing in its compass all the benefits of God towards man and his duties towards God” (Top. 12, Qu. 1, par. I). That certainly doesn’t leave much out does it? But that’s not surprising, is it? Turretin is right. Looking at the biblical storyline, it’s a matter of covenants made, broken, renewed, enforced, and ultimately fulfilled in Christ. Of course, the central covenant promise in the Scriptures is that “you will be my people, and I will be your God” (Jer, 30:22′ cf. Exod. 6:7; Lev. 26:12). God’s gift to us, in the covenant, is quite simply himself. We will be his and he will be ours. But that raises the question, “How is God our God in the covenant of grace?” not in the sense of, “How is this accomplished?”, but “What is the result?” What goes into God becoming our God? What are the “benefits” of God being our God, so to speak? 1. According to Nature and Persons. For all Turretin’s strengths as a theologian, he rarely waxes poetic, but this next section is beautiful, so I’ll end up quoting him at length a couple of times. Turretin notes that in reconciliation, we are brought into communion with God. We move from a relationship of opposition to love, we relate to God no longer as an angry judge to us but a Father. In the covenant, we are betrothed to him as a husband and brought under his protection as a King protects his people. Because of this, we receive him as our God according to his attributes. But what does that mean? God so gives himself to us as to be ours as to all the attributes (conducing to our advantage and salvation). They are well said to be ours by fruition and use because their salutary effects flow unto us. Ours is the wisdom of God for direction; the power of God for protection; the mercy of God for the remission of sins; the grace of God for sanctification and consolation; the justice of God for the punishment of enemies; the faithfulness of God for the execution of promises; the sufficiency of God for the communication of all manner of happiness. And as sin brought innumerable evils upon us, we find a remedy for all in the divine properties: wisdom heals our ignorance and blindness, grace our guilt, power our weakness, mercy our misery, goodness our wickedness, justice our iniquity, the sufficiency and fulness of God our poverty and indigence, fidelity our inconstancy and fickleness, holiness our impurity and life our death. Already, it becomes apparent what Turretin means when he says that all of the benefits and blessings of God towards humanity are seen in the benefits of the covenant in communion with God. But wait, there’s more! 2. In the Communication of Goods. I won’t do the lengthy quote thing here. Still, Turretin moves on to point out that “He cannot be our God without all things belonging to him becoming ours.” As Paul tells us, all things are ours because we are Christ’s and Christ is God’s and so we have all things in him (1 Cor. 3:21-23). Piling up verse after verse, Turretin shows us how God’s creatures serve us, God’s angels protect us, God’s earth is our inheritance, and God’s promises (for this life and the next) are ours. Every spiritual blessing in the heavenlies is ours because God is our God through the covenant in Christ (Eph. 1:3). 3. In Conformity to God. It would be absurd, though, to believe that God could become ours without our own transformation. Turretin teaches us that God “is not satisfied with pouring upon us the salutary effects of his properties, but wishes further to impress upon us their mark and likeness (as far as a finite creature can bear it) that we may be ‘partakers of the divine nature’ (2 Pet. 1:4) and be like to it (which is the most perfect form of communion).” Here is the beginning of what we might loosely call Turretin’s doctrine of “theosis“, only with a very careful attention to the Creator/creature distinction. Turretin says here that just as the sun shining into a diamond irradiates it with its glory, so does God’s shining splendor fill his children and “makes us shine like many suns” (Matt. 13:43). 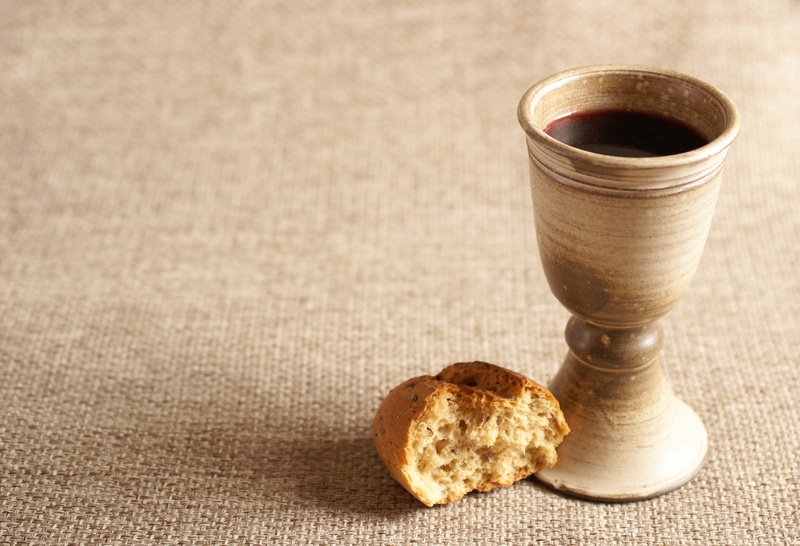 True communion through the covenant requires conformity to his holy character, as well as happiness, immortality, and glory in body as well as as the soul, which means that our conformity will include our resurrection so that “we shall be like him; for we shall see him as he is” (1 Jn. 3:2). 4. For An Eternity of Good Things. Finally, Turretin tells us that none of these things could make us perfectly happy “unless perpetuity was added to them.” In other words, could you imagine being perfectly satisfied in having all of these things while knowing they that were only for a little while? Because God is unfailingly good, his promise to be our God extends into eternity. “So that as long as God will be God (and he will be so forever), he will also be our god that we may forever enjoy his communion and happiness”, as the Psalmist declares “This God is our God for ever and ever” (Ps. 48:14). And we can be confident of this, not only because of the nature of the promise, but with all the other blessings of the covenant like justification, deliverance from death, adoption, the gift of the Spirit, a new heart, and the resurrection of the body, who can imagine this continuing for only a short time? *I also found a post where Scott Swain comments on the two lengthy Turretin quotes after I decided to write this post. Not only did he save me the time of typing them out, the comments are worth your time. From praise of Him let no prosperity of this present life seduce thee, nor no adversity restrain thee; for thus shalt thou praise Him with all thy heart. But when thou shalt praise Him with all thy heart, and praise with the homage of thy love as well, then wilt thou desire nothing from Him but Himself, and thou wilt pray that the object of thy longing may be God; the reward of thy toil, God; thy solace in this life of shadows, God; thy possession in that blissful life to come, God. Yes, indeed, thou wast created for this; to praise Him, and to praise Him without end; which thou wilt then more fully understand when, entranced by the blessed vision of Himself, thou shalt see that by His sole and gratuitous goodness thou, when thou wast not, wast created out of nothing; so blessed, and to such unspeakable bliss created; created, called, justified, glorified. Such a contemplation as that will give thee an untiring love of praising Him without end; from whom, and through whom, and in whom thou wilt rejoice in being blessed with blessings so great and so unchangeable. Oh, that’s great! Thanks for sharing.